Those seals on the doors of my fridge and freezer are there to haunt me and taunt me; they are always the area that I forget and yet they seem to gather and collect dust and grime just to spite me, I am sure! However, it isn’t as difficult as you might imagine to get them clean and for them to look good. Nevertheless, your appliance door seals are something you do need to tackle regularly; it is a fiddly process and one that isn’t helped by all the small little grooves you need to get in. The process is simple: you need to clean the seal quickly because keeping any of these doors open for extended periods could lead to your appliance working harder and costing you more to run. Or items in the appliance could be affected by the rise in temperature and either start to defrost or spoil. The timing of the cleaning process is important, it is not something you want to spend hours at a time at, I like to spend no more than 10 minutes at a time at this task, you can always come back to the task later to continue the cleaning. Read the instructions for your appliance to see if there are any tips or recommendations as to the cleaning of your appliance door seals. Remember, to check if there are any items that would invalidate your products insurance if you use it to clean. Wipe them down first; this removes any of the loose debris that is easy to wipe away with a damp cloth. If the seal isn’t too bad I just use clean washing up water, this is just hot water with washing-up liquid. If there is still debris in the appliance seal I use a damp cotton bud, this is able to go along the grooves of the door seal and pulling any debris with it. You might need to repeat this process a couple of times for the seal to come clean; obviously, you will need to use a clean cotton bud if the original one becomes too dirty. What happens if the dirt isn’t moving and the seal of the appliance is still dirty? I have seen this happen, I cleaned a fridge for my son before he moved into rented accommodation, the fridge was dirty and the seal of the fridge was full of dirt. For this I used a soft toothbrush, you can pick up these cheaply and I normally keep a supply because you just never know when one will come in handy for a cleaning task. If the hot soapy water refuses to get the seal clean, I turn to bicarbonate of soda. I mix up a small quantity with water so it forms a paste, which I put on the damp toothbrush and I use this to scrub the seal clean. I repeat this process until the seal is clean and germ-free; wiping the seal down afterwards to remove any of the paste I used to clean the seal. I don’t use white vinegar on the door seal because it is an acid and I don’t want to damage the seal in any way, I just want it clean! If you are wondering why you need to clean this area of your home, the answer is to protect your family from illness. Items of food can and will fall into the seals, I am sure they’re designed for this purpose! No matter how careful you are, things still get into the ridges of these door seals and because you open and close the door, they’re subjected to changes in temperature and airflow and this increases the chances of germs and bacteria being able to breed. Which is why regular cleaning of the appliance door seals can reduce these germs and bacteria growing in your home. How often do you need to clean the appliance door seal will depend on personal preference and the timescale that you have available for your cleaning routines. I think for me, the maximum amount of time between each clean is no more than a month, I do however wipe them down in-between this time scale, but the deep clean is around the 4-week mark. Why I clean this frequently is just part of who I am and this has no indication as to the length of time you should leave between each cleaning. It needs to fit with your cleaning routine and other commitments that you have. 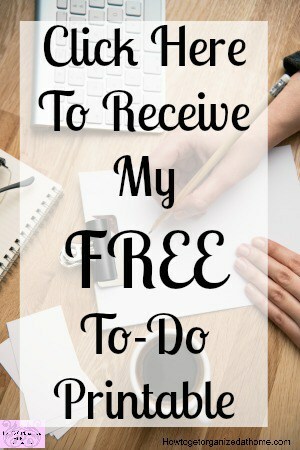 For me, the monthly cleaning is just easier as it falls neatly into place with other areas of cleaning. You need to make your own decision based on your circumstances, for example, I clean my window sills weekly to make sure no mould is able to take hold as we could breathe in these spores making my family ill. Therefore, it is important to clean your appliance door seals to ensure that they are kept germ free, as well as removing any particles of food that have managed to fall into the little grooves that naturally form part of the door seal. Wiping them down regularly will reduce the deep cleaning task, however, it is important to schedule a deep cleaning session, not only is it good for your home and the contents, it is also great for you and your family’s health too! What is your favourite tip for cleaning door seals? 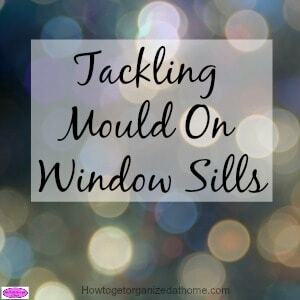 Here’s the link again for Tackling Mould On Window Sills! Oh dear! Now I must go check my refrigerator!! THanks for the tips!